You're not like anyone else, so why wear jewelry that's like everyone else's? There's just no reason to do so when you can wear unique handcrafted jewelry that allows you to express your individuality. At hodgepodgerie you'll discover fresh, trendsetting, sometimes eclectic but always out-of-the-ordinary designs. It's my pleasure to offer you jewelry that will let you stand out in a crowd! 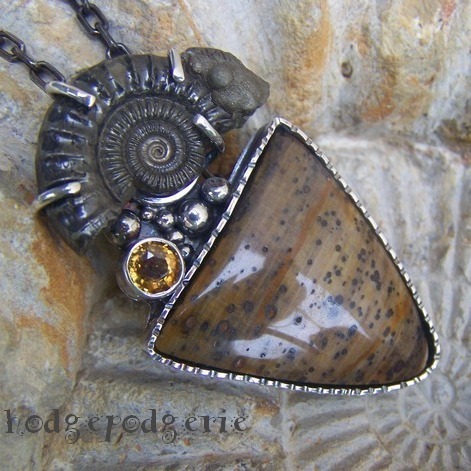 I invite you to peruse my various jewelry galleries. 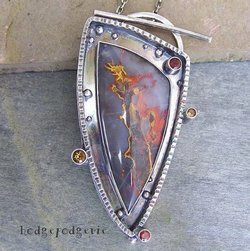 Many pieces are designed using "cold metal" techniques, which means no heat is involved. 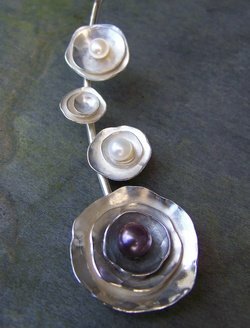 Just a whole lot of cutting, hammering, bending, twisting, coiling, riveting, planishing, tumbling and etching. I also enjoy custom jewelry design. If there's something special that you'd like me to create for you, maybe even using some of your own components, just let me know and I promise a quick response to discuss your ideas. 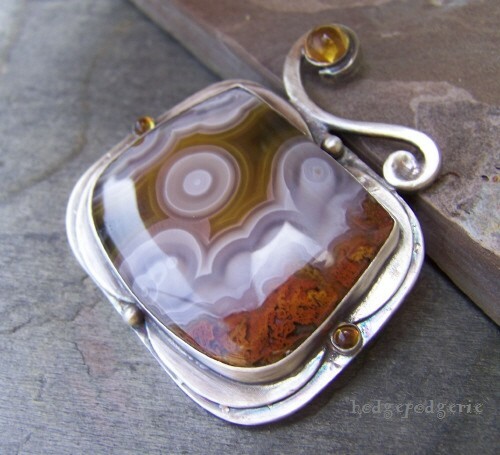 It is my sincere desire that you recognize the meticulous attention to detail in the design and craftsmanship that goes into every piece of hodgepodgerie handcrafted jewelry. 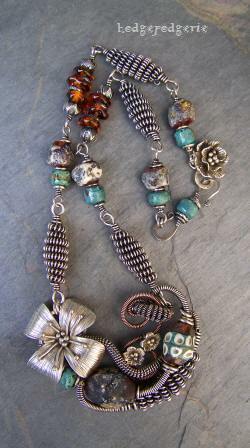 Are you a wire jewelry artist yourself or aspiring to become one? Then you'll want to check out my pages of wire jewelry classes and wire jewelry tutorials. I also offer a nice selection of jewelry making supplies for your jewelry projects. And, in my wire jewelry Q & A area I encourage you to ask questions about your jewelry projects and contribute your own responses to other artists' questions.